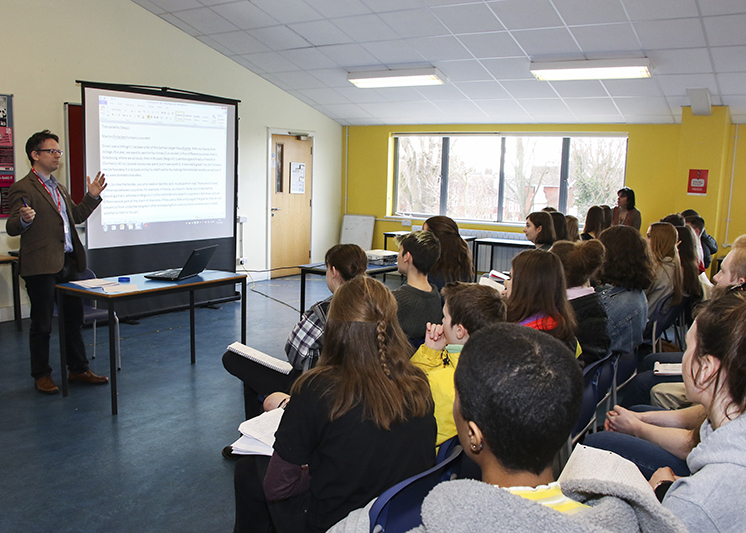 On Wednesday 21 March BHASVIC A2 students were lucky enough to have a session with Paul Kaye, a translator from the Office Of The European Commission in London. Students had been given texts to prepare in French, German and Spanish beforehand and during the session they explored those parts of the texts which proved most difficult to translate. They were then shown what two different machine translation programmes had offered and then the best human translation suggestions. It was an excellent session which allowed students to consider the difficulties, arrive at possible solutions and see the value added by the translator. 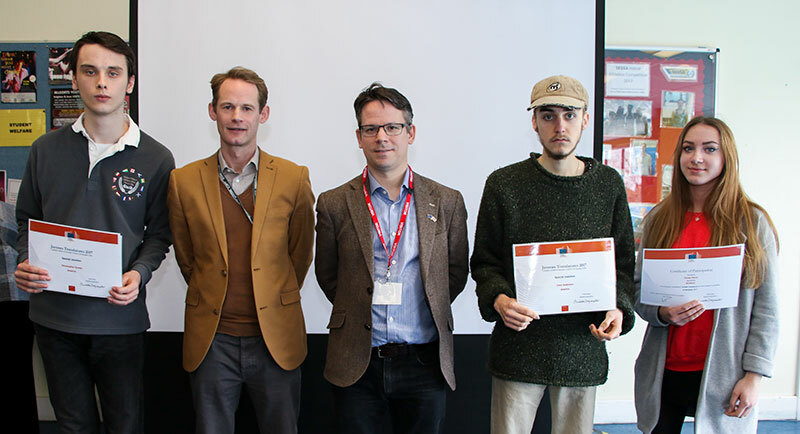 At the end our Principal, Will Baldwin came in to present prizes to Cicely Perry, Chris Syms, Cory Anderson , Sam Brooke and Olivia Mustapha who represented BHASVIC in the EU Juvenes Translatores (Young Translators) competition in November. Chris and Cory both were awarded Special Commendation for their work, which the judges considered had “ excellent or very good use of target language and read like an original”.